Join us this week as we welcome country pop music singer songwriter, Whitney Lusk. Hailing from Spanish Fork, UT., Whitney has been vocally trained since the age of 8 by industry professionals. Whitney’s dream is for her songs to bring back the Music to the music industry and touch people’s lives through the stories she tells. At the age of 14 Whitney performed with a national country cover band who opened at music festivals for major artists, such as Kellie Pickler, LeAnn Rimes, and Billy Currington. At age 16 Whitney took on the stage herself with her own music and opened for the Country Duo Maddie & Tae. Since then she has opened for YouTube sensation Andie Case with a sold out show in Salt Lake City, Utah. She has been featured on several Utah Radio Stations for being one of Utah’s up-and-coming singers. 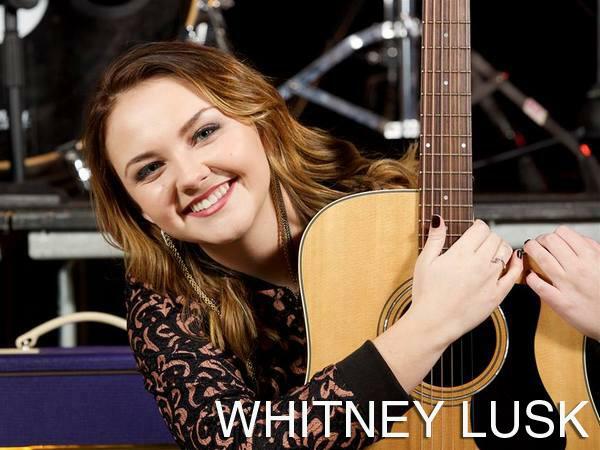 Whitney recently released her new EP, self-titled “Whitney Lusk,” which is already getting national recognition for her song, “I Wanna Know,” which was used in the movie “A Light In The Woods,” produced by K. Vernon Castleton. Whitney’s original Song “Picasso” won her a trip to Nashville where she wrote with top industry singer-songwriters on Music Row and performed at the famous Bluebird Café. Whitney recently had the opportunity of filming a New Reality TV Show The Song which will premier on National TV in 2017. We will talk to Whitney about her upcoming schedule, get a behind the scenes look at her new album, feature songs from the new album, and ask her to share her message for the troops. Please be sure to visit Whitney Lusk at http://whitneyluskmusic.com/ and spread the word. Fans are welcome to call in and speak live with Whitney during the show (718) 766-4193. And as always we will give shout outs to our deployed military listeners. Our message to the troops: WE do what we do, because YOU do what you do.